Do you celebrate Valentine's Day with your ELA students? 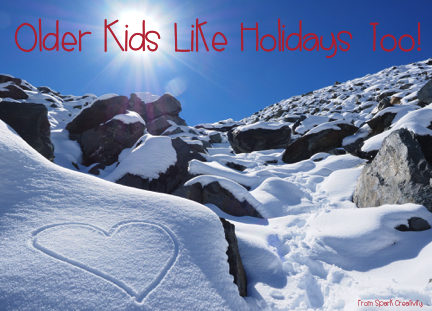 There are so many ways to bring bits of holiday spirit into the classroom, no matter what the age and level of your students. When I was in college some friends and I banded together to form a "Holiday Theme Group" and throw parties, supported by the college, for holidays throughout the year. If college students showed up to make chocolates at Christmas, eat spaghetti during National Pasta Week, attend an Orange Blossom Festival, and pet other people's animals on National Dogwalker Day, you can bet your teenagers can still enjoy a few Valentine's Day festivities! 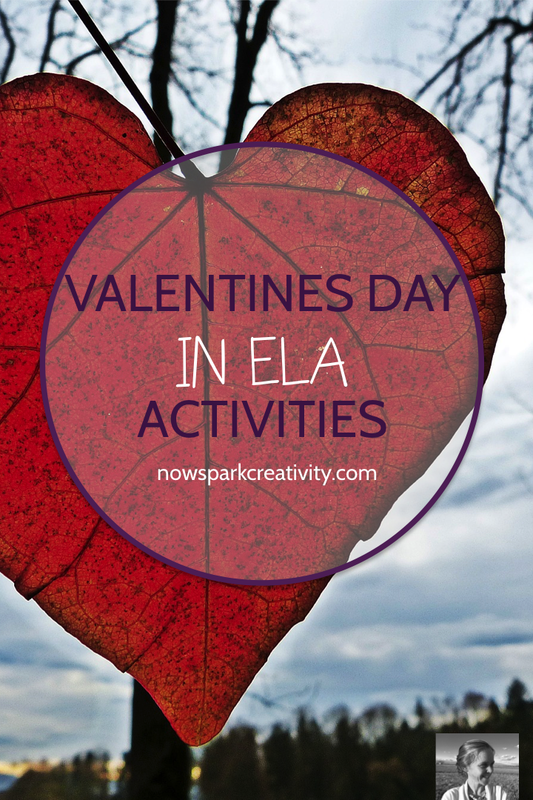 Here are three easy ways to incorporate Valentine's Day into your lessons in the next few weeks. #1: Study a love poem, and then write your own! Let students explore the Poetry Foundation collection "Love Poems" and choose one to share in a small group. Different students will be drawn to different poems - several even feature teen love and breakups. Let each small group nominate one to share with everyone. Then have the whole class vote on which one you want to study in depth. Read it and discuss it together. Assign students to write love poems of their own, about any kind of love in the world. Perhaps show them Poetri's hilarious rendition of "Krispy Kreme" on Def Poetry Jam, a poem about how much he loves Krispy Kreme donuts. 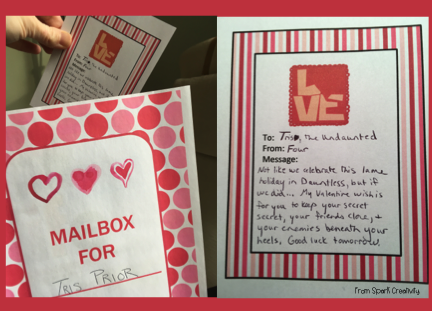 For this activity, let your students write Valentines from one literary character to another. What would Hester Prynne say to Arthur Dimmesdale? What would Ginny Weasley say to Harry Potter? What would Jay Gatsby say to Daisy? 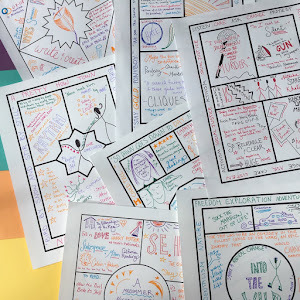 You can do this however you like, but one option is to use the full set of activity handouts I've created for you, available free over on Teachers Pay Teachers. 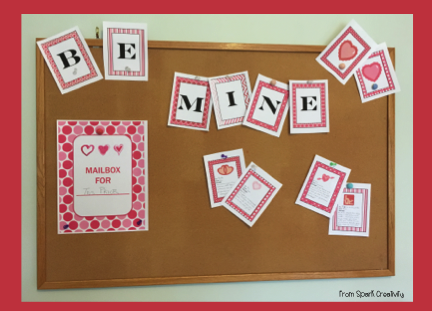 When you download the packet you'll get teacher instructions, a banner for making a bulletin board out of all the great student work, and of course the Valentines themselves for students to write in character perspective. It's such a fun activity, I hope you'll go get it! Start each day (or at least quite a few) with a bit of February cheer. You can play love songs or audio clips of love poems (look in the bottom right part of the page on the link) as students walk in. You can incorporate love into your journal prompts - check out this great list of love-related creative writing prompts from Lit Bridge. You can incorporate funny love-related questions into attendance. Instead of having students say "here" you can ask questions like "Would you rather eat only chocolate for the rest of your life or eat only cheese?" or "would you rather go on a Valentine's Day date to a circus or an aquarium?" and have them answer to show they are present. (Regular readers will know I love doing this kind of question for attendance). However you decide to celebrate this holiday with your students, just remember that we all enjoy a change of pace and a little fun in our routines.